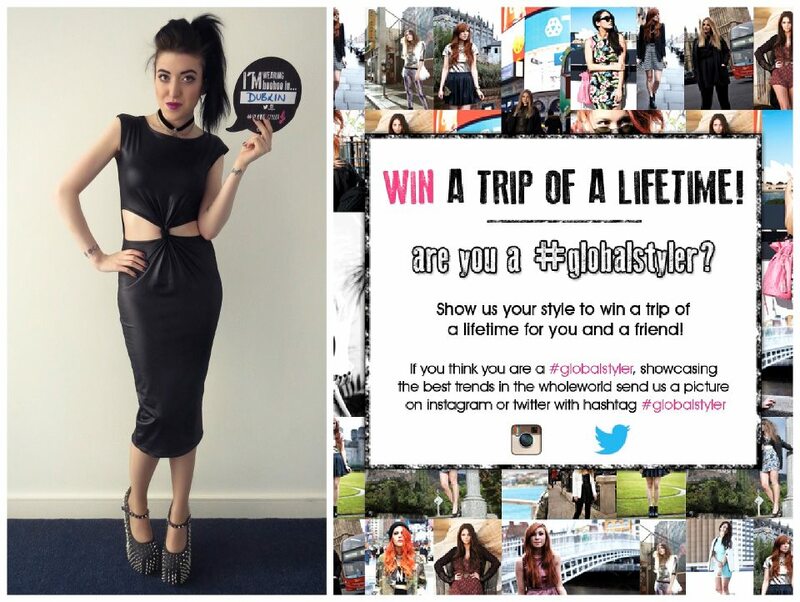 I was recently asked by BooHoo to style a piece of clothing from their new collection, as part of promotion for their new Global Styler competition (see below). I chose this amazing leather-look twist knot dress, as I adored the shape and length of it. It's such a versatile piece; I plan to throw a casual t-shirt and jacket on top and wear it as a skirt! I teamed it with my spiked wedge shoes, 90s-style choker and snake wrap earring from Regal Rose. My ears are tiny, but it just about fits on to them. 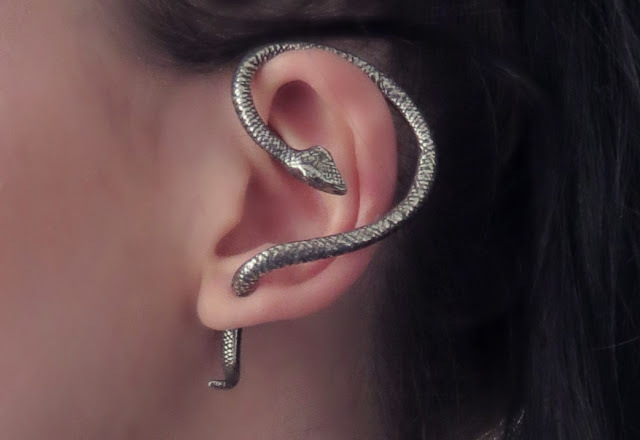 The tail of the snake is like a basic earring clasp, so no stretching is needed to wear it. I adore it, it's such a statement piece.